Professor Sir Anton Muscatelli is the Vice-Chancellor of the University of Glasgow. As the Vice-Chancellor of a Scottish university, much of my time is taken up considering the impact of the UK’s impending departure from the European Union – and like many of us who value our relationship with friends and neighbours in Europe, I spend much of that time with my head in my hands. In October last year, I referred to the UK’s decision to leave as “the most unhinged example of national self-sabotage in living memory”. Despite the many meetings, summits, indicative votes, meaningful votes and statements on the steps of Downing St since, absolutely nothing has diminished this view – instead the situation has somehow managed to get even more farcical. But while it is tempting to focus on the melodrama currently unfolding in and around the Palace of Westminster, we cannot forget that this is not a soap opera and there will be real-world consequences for all of us if the Brexit farce is allowed to continue. Simply put, if Brexit goes ahead it will be an economic and social catastrophe for Scotland and the UK as a whole – and our university sector would be amongst the hardest hit. The economic implications are clear – and regardless of which forecast you believe, the figures are unanimous: the UK faces the prospect of paying an unthinkable economic cost, simply to satisfy the whims of a small group of extreme ideologues. But while much of the discussion has, perhaps inevitably, focussed on the economy, in my view, the most depressing aspect of Brexit will be the huge social and cultural damage it will inflict, particularly to our universities. Our lecture halls and seminar rooms are enriched by the diversity of our European students, including 150 from Ireland, offering distinct and varied perspectives which only enhance the educational experiences of our Scottish students. And the culture of our campus and our city would be simply unrecognisable were it not for the impact of our staff and students from the continent. For this to be sacrificed to the hard-Brexit agenda would be an act of unforgivable vandalism – and history would judge the politicians who allowed it to happen very harshly indeed. But whatever the final political arrangement between the UK and EU is, the mission of our university and universities across the UK will be the same – acting not only as anchor institutions in our own communities but as platforms to build links and solidify relationships across borders, strengthening the shared European values we all hold dear and playing our part in meeting the shared challenges facing our societies in the 21st century. From climate change and the environment to the public health and healthy ageing, so many of the issues facing us in the coming years are too big for any one country to tackle alone. At my own university, our proudest achievements in recent years– from the discovery of gravitational waves to our role in the fight against the Zika virus – have relied on cross-border collaborations with colleagues outside the UK. To this end, is absolutely vital for the future of the university sector that Europe continues to forge a collaborative approach to research and study. For instance, if the UK does leave the EU, it is important that it actively seeks full association in the Horizon Europe and Erasmus+ programmes and takes steps to ensure the continued flow of students and researchers to and from the rest of Europe. We must ensure the closest possible relationship with the EU on research and innovation if Brexit goes ahead. This is in all our interests – Europe has the potential to keep pace with the knowledge superpowers such as China and the USA, but only if it continues to allow our best talent to work together. For our national university sectors to perform to our full potential we must continue to argue for free unfettered mobility for our students and our researchers. 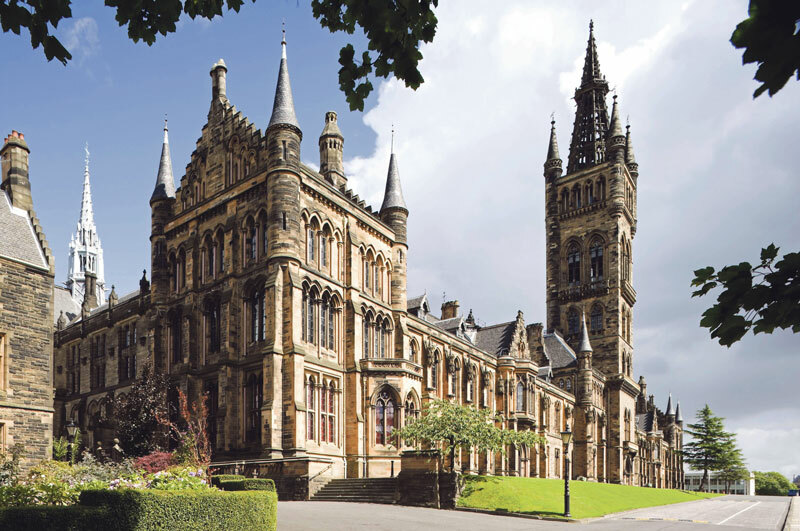 That’s why my message to students in Ireland who may be considering postgraduate study or making their academic career in Glasgow is clear – our aim is, and will always be, to be able to welcome you to our university community. Glasgow and Scotland need the skills and energies of EU nationals to help us meet our full potential – and we will do everything in our power to ensure we are able to continue to welcome people from across Europe to live, work and study here. Our university was founded more than half a millennium ago, very much in the European tradition. Whatever the outcome of the current political crisis, we will continue to be such an institution – proudly Glaswegian, proudly Scottish and proudly European, with an outward looking perspective and an open and inclusive ethos, committed as much to playing our part in solving the major international problems of the day as we are to being full and active citizens of Glasgow. We will remain a bastion of excellence, of multiculturalism and of internationalism – and the contribution of our European students and colleagues will always be not only welcomed and acknowledged, but heralded as a social good in itself, making our city and our country a better, more vibrant place. And regardless of the outcome of the Brexit process, our European staff, students and alumni will always be able to call our campus home – and we will continue to welcome potential new students and staff from Ireland, and right across the continent. Professor Sir Anton Muscatelli is Principal and Vice-Chancellor of the University of Glasgow.